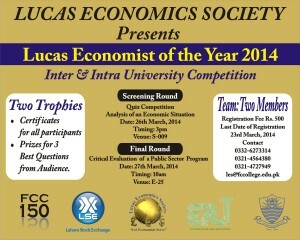 Screening Round comprising of a quiz competition and analysis of an economic situation. Final Round comprising of presentations on an assigned topic. All institutions are invited to participate in this event which is tentatively scheduled to be held on the 26th and 27th of March. 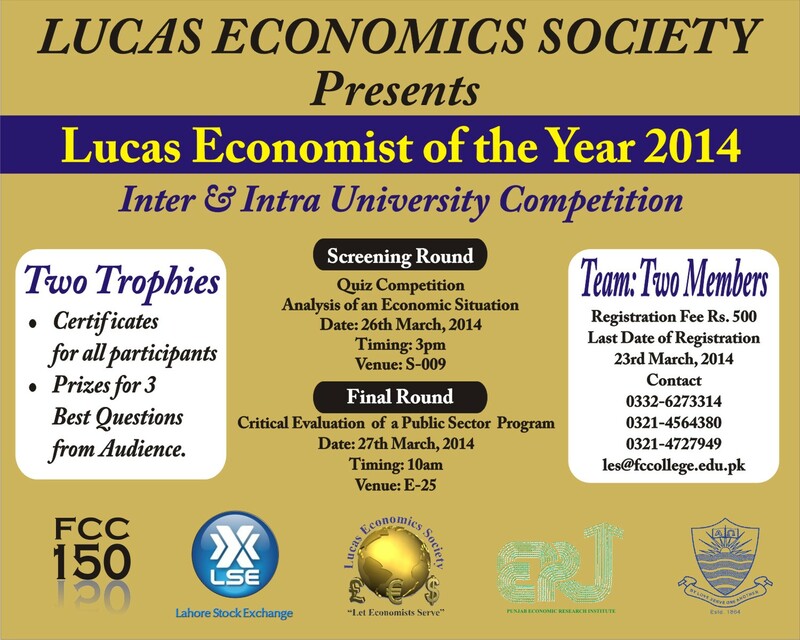 It would be a wonderful opportunity for emerging economists from across the city to put their economics knowledge to test and showcase their skills. There is a Rupees 500 registration fee per team – two members can register as one team. 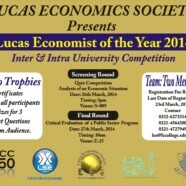 After the screening round, three top teams would proceed to the final and last round of the competition. Additionally, all participating students would be given a certificate of completion and refreshments would be served on both days. On arrival, we kindly request your team participants to bring along institution identification card and the registration letter.